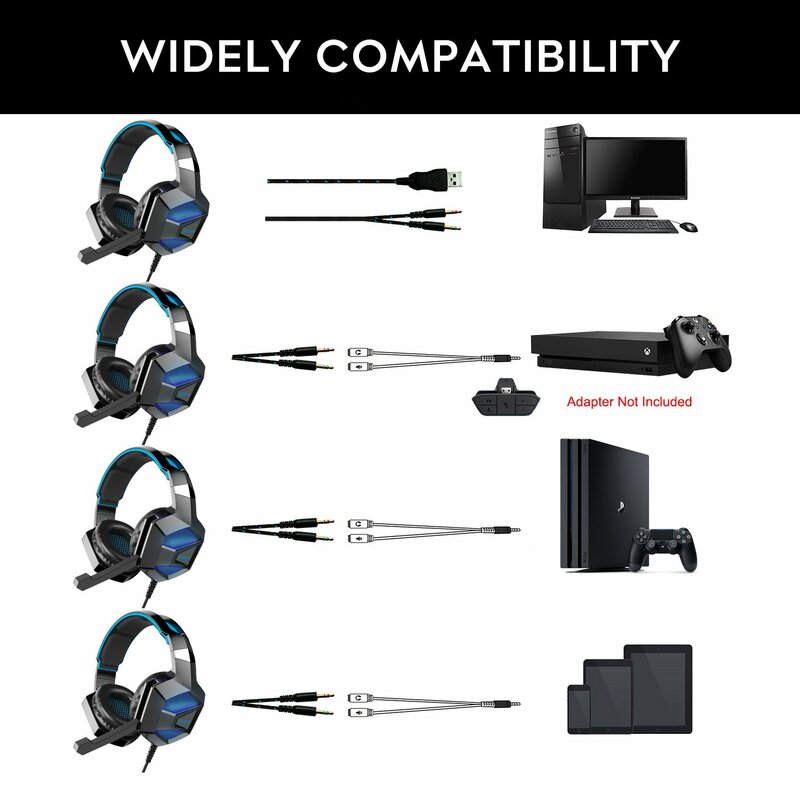 ▶ Multi-platform Compatibility: Support PlayStation4, New Xbox One, PSP, Nintendo 3DS, PC, Mobile Phone，iPad. ▶Surrounding Stereo Subwoofer: High-precision 50mm magnetic neodymium driver and highly sensitive speaker offer you an auditory carnival. 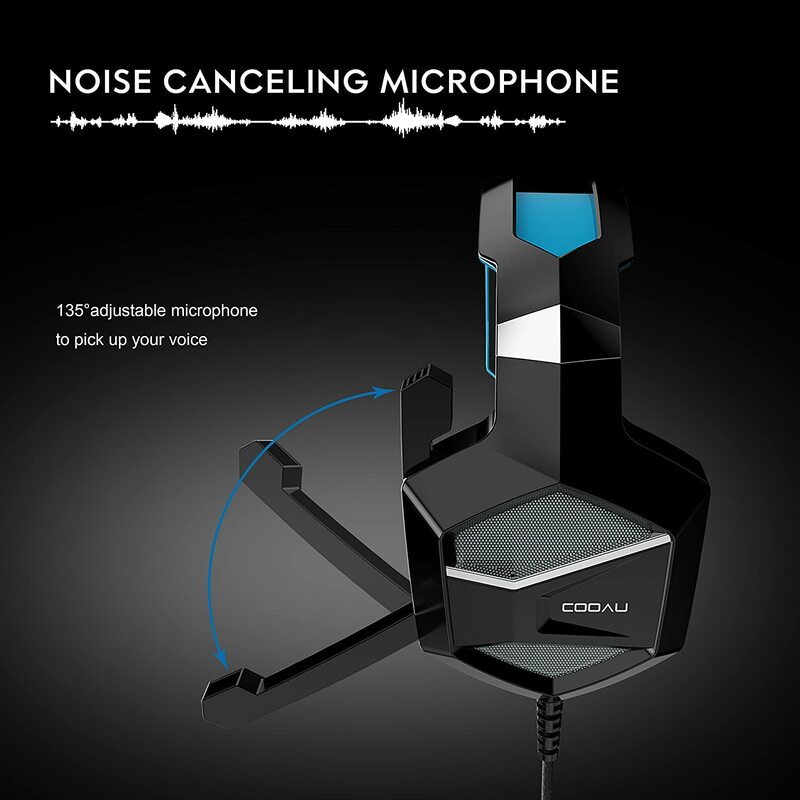 ▶Noise Isolating Microphone: High quality communication transmits enable you pick up great-sensitive sounds and isolate the surrounded noise when you are in a game. 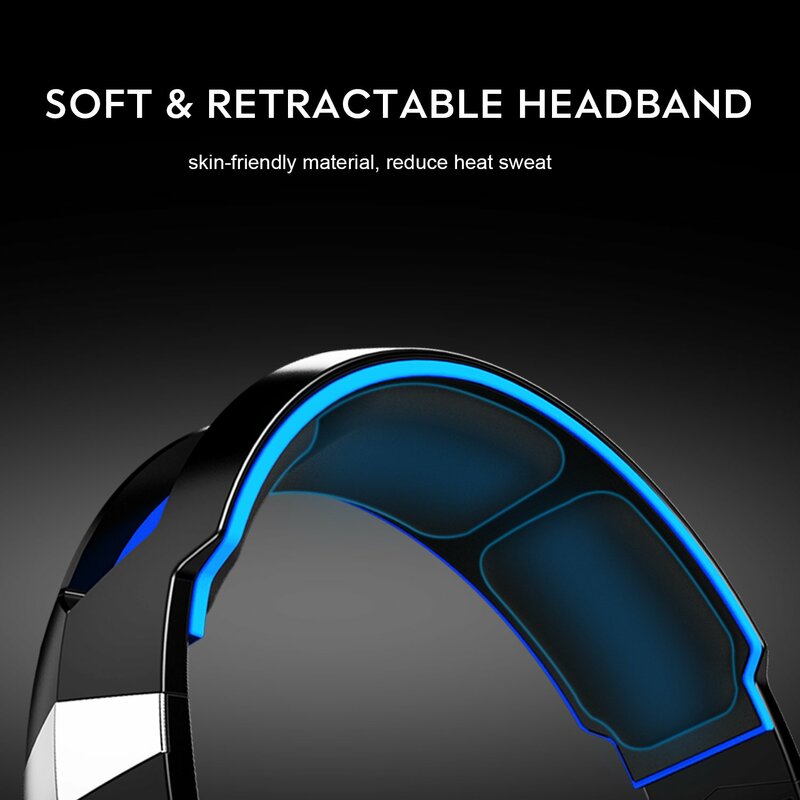 ▶Humanized Design:The newest skin-friendly material earmuffs is more suitable for long wear when games. 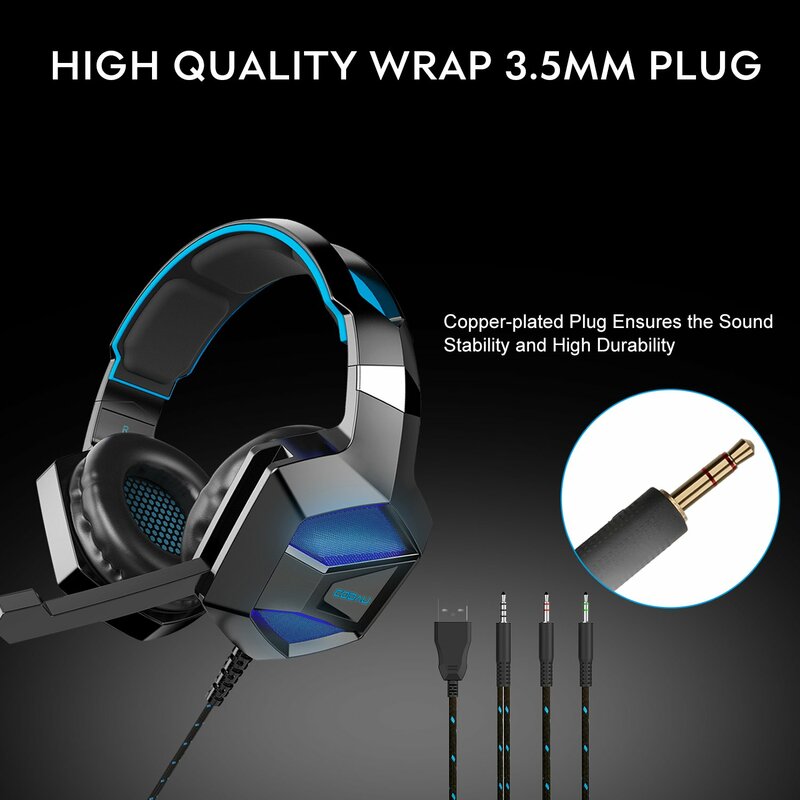 ▶Easy to use: 3.5mm plugs are designed for mic and earphone while USB plug for the LED lights. 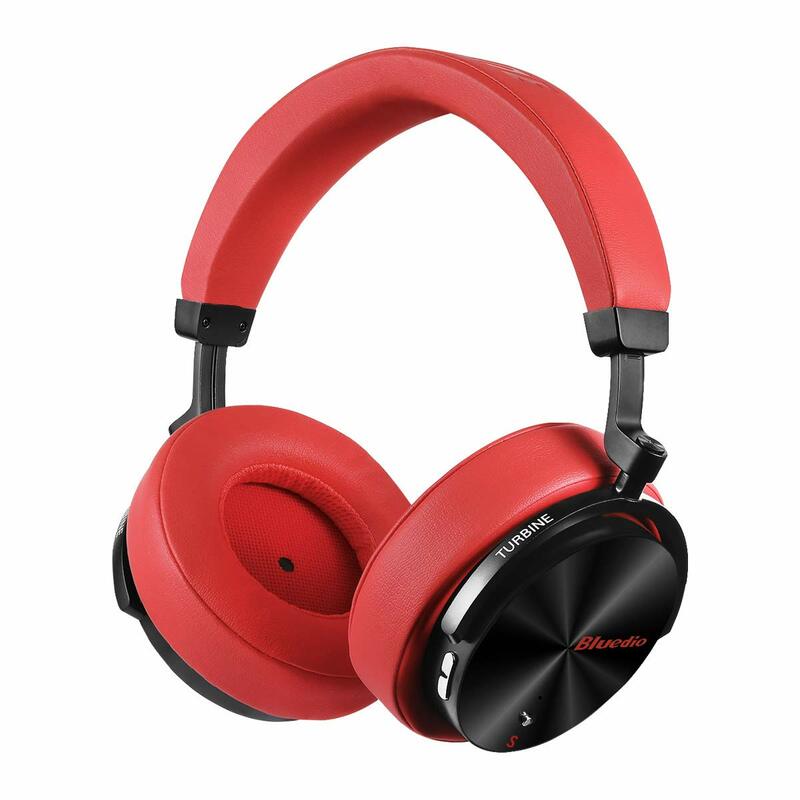 It fully guarantee the stability of the sound. I got these in the hopes that I could use them as noise canceling headphones, but even on the smallest possible setting, they were much too big. I could not simply wear them higher on my head because they were heavy enough that they just slid down again. 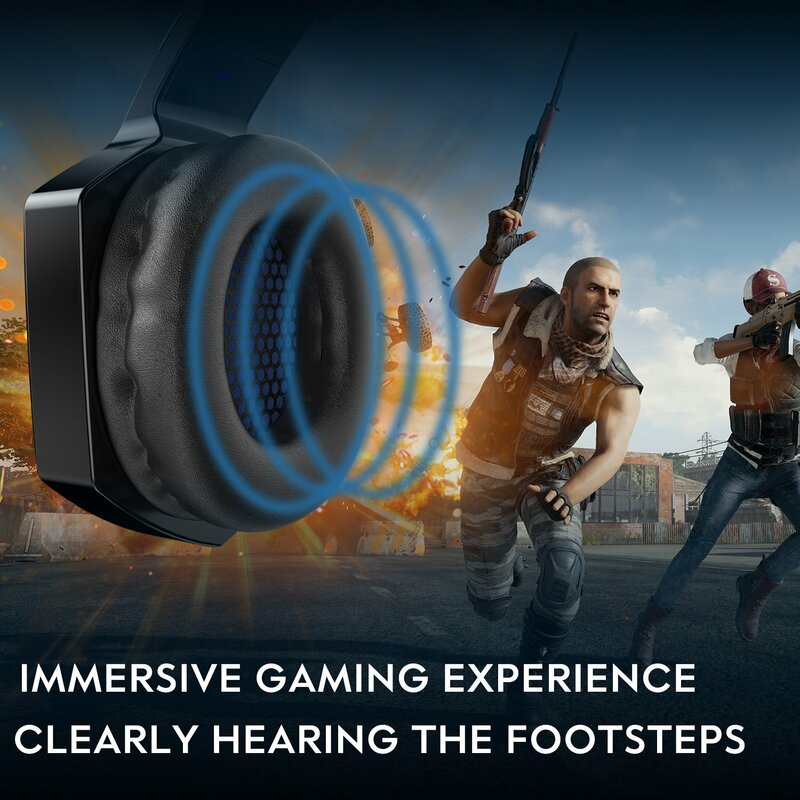 The only way they could reduce outside noise is if I held them to my head with both hands, but it’s not like I could play any games that way. Sound quality was ok, I didn’t get to test the mic and I couldn’t figure out the lights. To be fair, I’m on the small side, so if you’re on the large side, these would probably work just fine for you. Just don’t put a lot of faith in the whole “noise canceling” aspect. Bought this headphone for my 5 years boy, he was so excited when using this headphone with his DVD player, and it's really beautiful, not too big for a child. 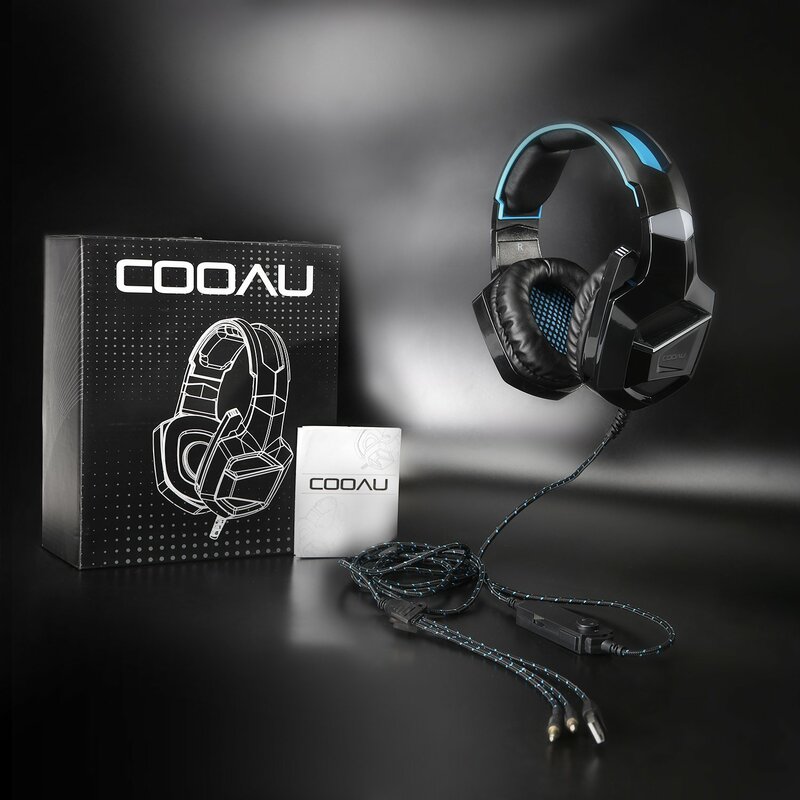 I found that the description said it could reduce the noise, I can't tell about that but the sound quality is 100% great, we are so pleased and surprised with copay headphones, definitely recommend! Unbelievable sound! 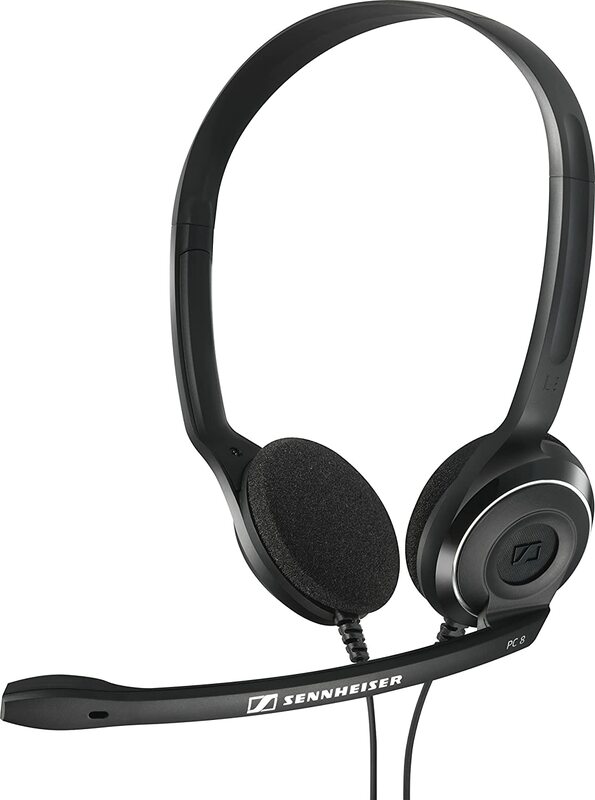 Purchased high quality noise canceling headphones in the past for air travel and these were better! Have not used on phone yet but highly impressed.....except for the bright blue (would have liked black).....you can not go wrong! quick shipping, received in 2 days. Easy to use, the package included an extra Y splitter, very convenient. It efficiently solved the adaptation problem of PC. And the microphone quality is also very good. Overall it is a good product at very affordable price. Love it. 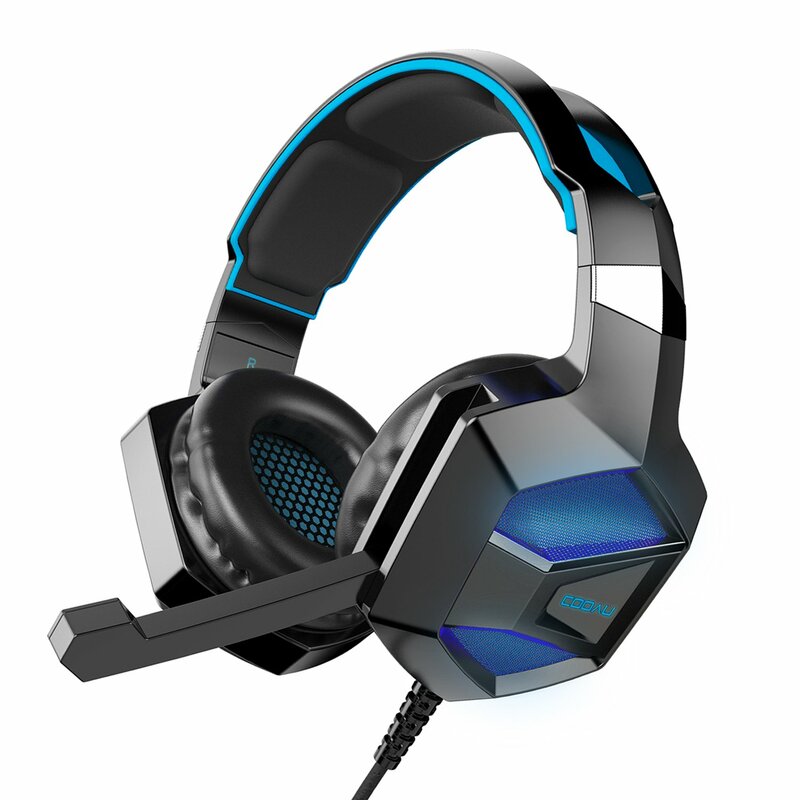 I can’t hear any sound with the PS4 but the headset lights up. Will be returning. I tried to get help so see if I had them hooked up right but my daughter couldn’t get them to work either. I purchased them for my grandson. 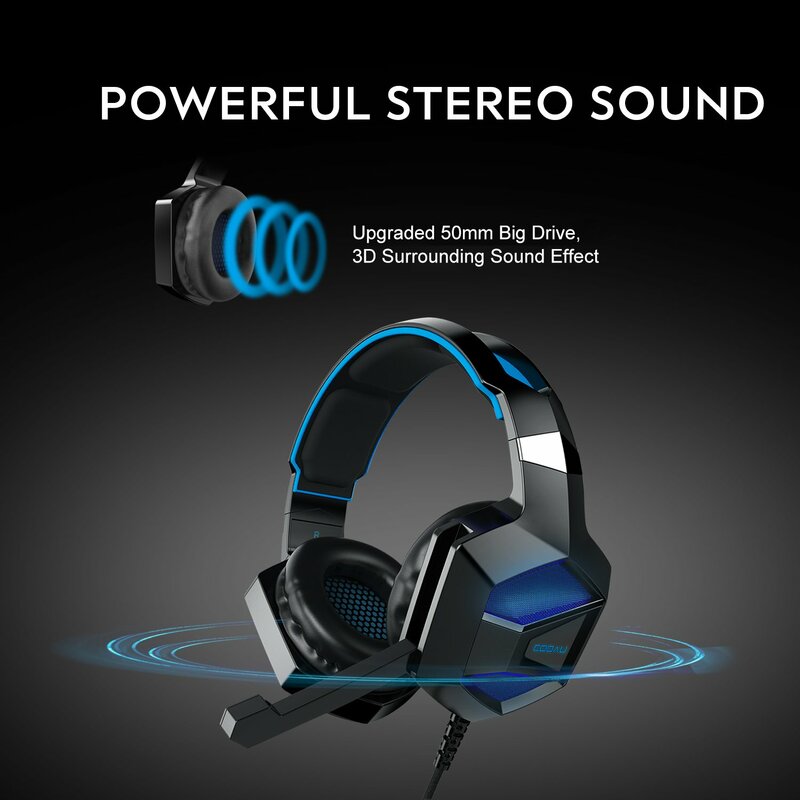 Consider the price, I’m really amazed with this headset. It is same as the picture, and in using, very comfortable. There are decent cushions around the ears and on the top, which can make you relaxed. 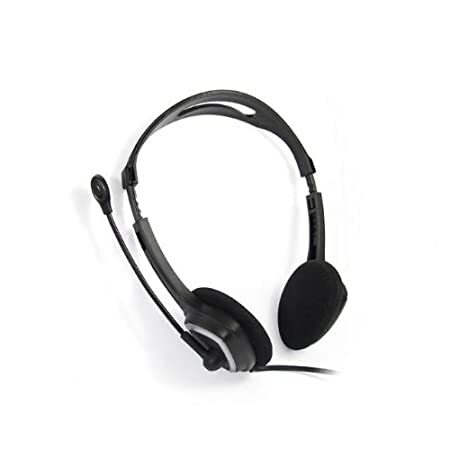 The lightweight and secure-fit design offers a very comfortable listening experience to the sound professional who has to wear them over long durations. I recommend this to my friends and they are very happy with it. Have had these for about two months and the left ear has stopped working but they look really nice, material quality is much better than expected for the price range, sound quality is good (while it worked) and they’re comfortable for little ones to wear. Seem well made, but very uncomfortable. I am a smallish woman with tiny ears, and they hurt my ears, cannot get them to fit comfortably. They fit my 6 year old well.